Will fear and common sense prevail? As gardeners, we are a determined lot. Spring is here…officially. The only problem is that apparently someone forgot to tell mom; you may know her as Mother Nature. She has been decidedly difficult to deal with of late. When it hasn’t been raining and wet, it has been cold. It’s enough to make a nursery owner cuss, but I will admit, it really doesn’t take much to make that happen. You better cover the children’s ears, ‘cause here it comes! 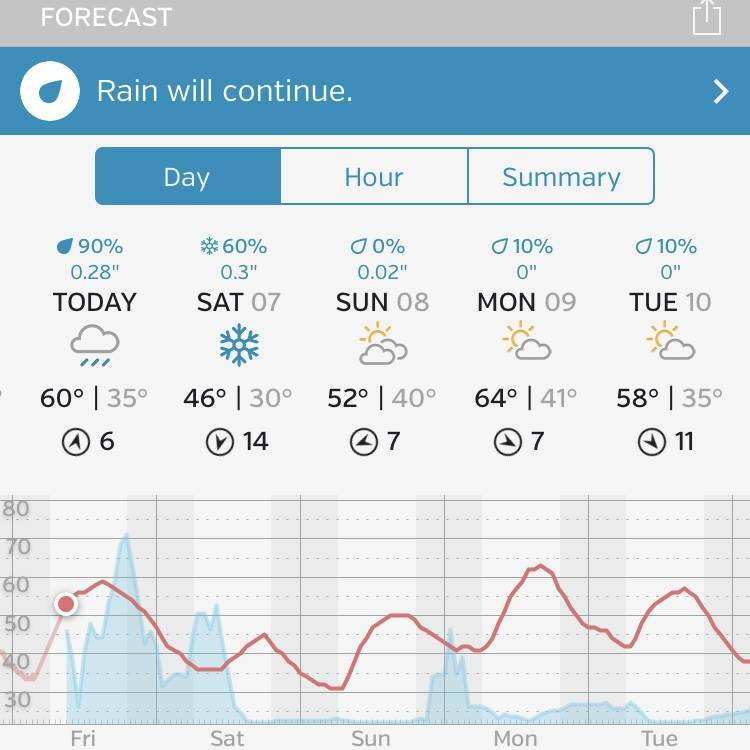 If we can ever get those gosh-darned, shovel-ducking comb-suckers to give us a forecast like it is supposed to be, we’d all be a bit happier, and cuss less. Pardon my language. The weather people have got it tough. The weather seems to be able to change faster than our computer models can adjust, or accurately project. A 10-day forecast is essentially a three-day forecast, which is pretty accurate, with an extra week of statistical weather data added on. I would be better off to never look at a 10-day forecast. I do look at multiple forecasts, multiple times a day, this time of year. I must be a bit daft. I have a dear friend who is a recovering meteorologist. I think she probably goes to some kind of meetings. I’ll tell you what kind of meetings; they are sales meetings because working in retail looked more predictable than trying to forecast the weather! Think about that one for a minute. She now knows, whether the weather cooperates or not, people are going to buy stuff. Retail is comparatively easy work. I’m glad we don’t have to forecast the weather; we just have to deal with whatever it does. I don’t know about you, but in my line of work, it is an every day thing. We avoid, at all costs, allowing fear and common sense to dictate our actions. Yet again, our inventory continues to swell. Perennials, annuals, and pretty much everything you could possibly need for your landscape…including expertise. Bring photos of your project; we’ll help!